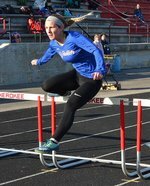 Volunteer High School: Highlights - New Track Records! VHS athletes broke four school records Saturday at the Texas Roadhouse DC/TC Relays! 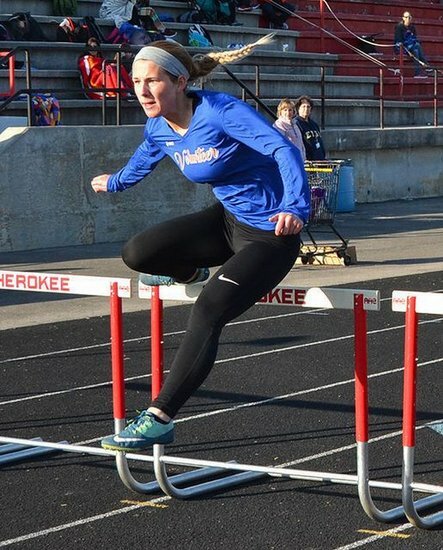 Whitney Christian broke her own record in the 100 hurdles with a time of 16.16. Lora Cardenas broke the girls pole vault record with a 7'0" effort. Nathan Michalik set the boys pole vault record at 9'6". Braydon Ragsdale, Zane Weston, Rayshawn Simmons and Andrew Murph broke the boys 4x400 record with a 3:29:63. Current track records can be viewed in the "Track" section of the VHS website. Copy/paste the website addresses below into your browser for media articles.